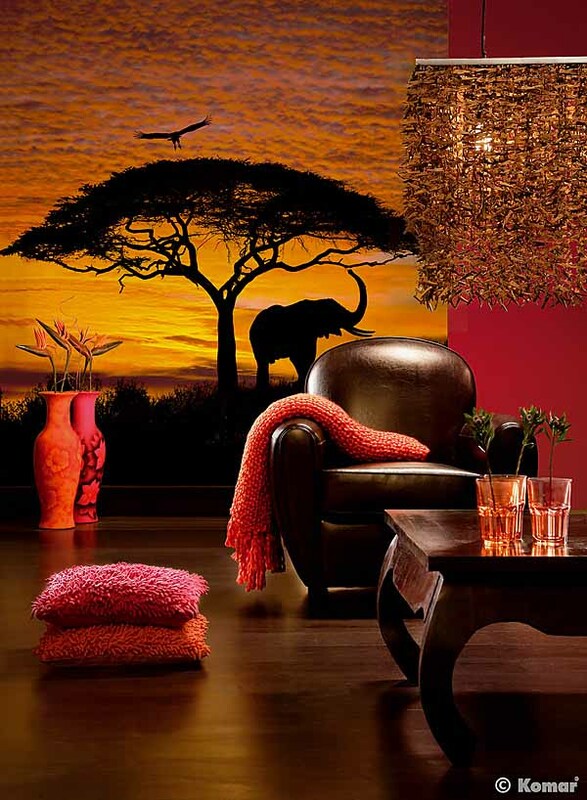 With these fantastic Digital photo murals wallpapers. 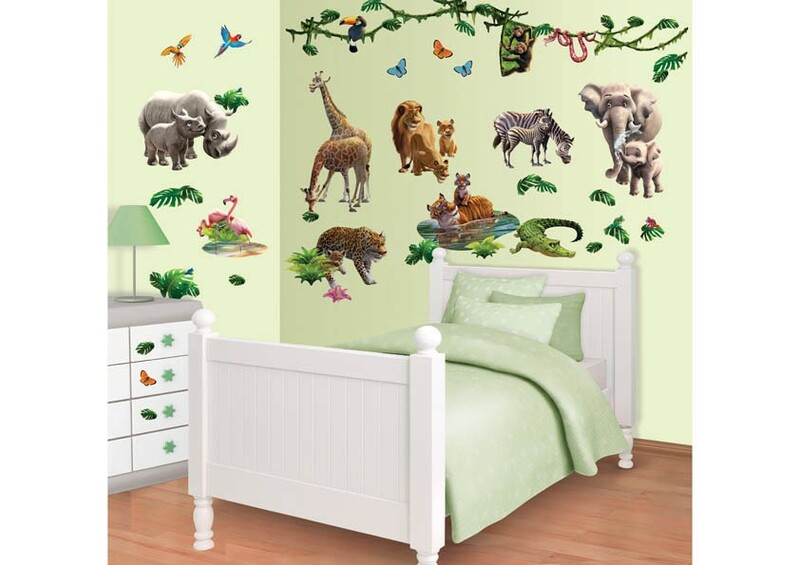 All Photo murals wallpaper murals come with free adhesive. Various designs and sizes available - something for everyone. Beach scenes, World maps, giant flowers. Ideal for the lounge, bedroom, study or office. This photo wallpaper mural shows a cluster of pastel colours roses with a fantastic sense of realism. Each rose casts a shadow on the adjacent one creating a feeling of depth. It comes in 8 pieces and comes complete with adhesive. 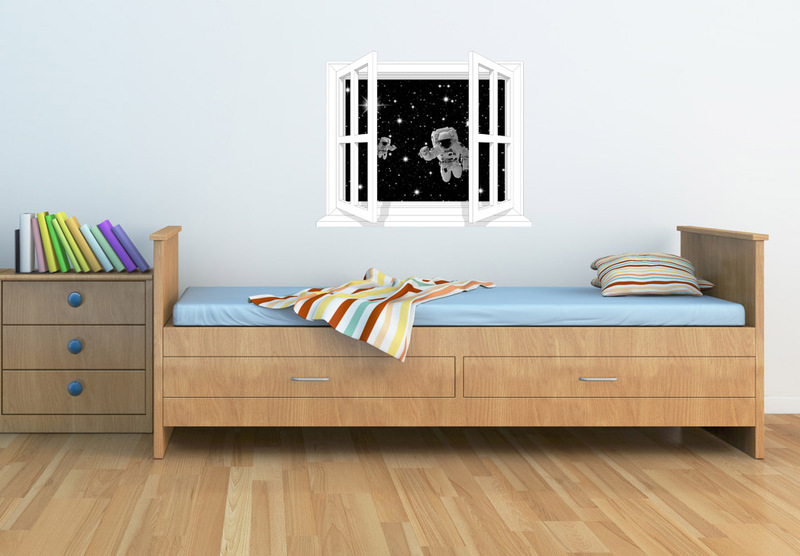 This mural create a great effect, An oversized white Lilly on a black background. Just stand back and admire it really is a great picture. It comes in 4 pieces and comes complete with adhesive. The cherry blossom is one of the classic symbols in Japanese poetry. Hanami, the observing of the cherry blossom, is an important social event in the spring. Digital photo murals make a great feature in any room at home in the office, shop or restraurant. 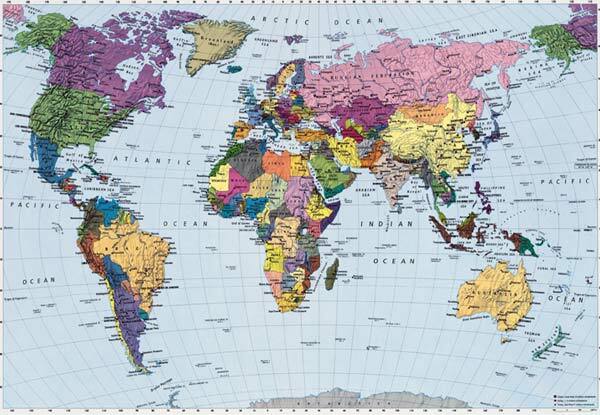 At nearly 9 Feet wide this map mural has real impact. each country is highlighted in a seperate colour, Each country is names as aer the various oceans around the world. All Photomurals are supplied with adhesive. At sunset, Africa's beauty is overwhelming. Exotic animals appear as silhouettes as the red sky glows. A brilliant picture turned into a wallpaper mural for the home. The birch trees in this forest scene stand tall with the morning sun beaming through creating a yellow tinge to the tree tops. The lovely pink blossom on a branch of a tree fills most of this colourful wallpaper mural, An 8 piece mural thats over 12 feet wide. 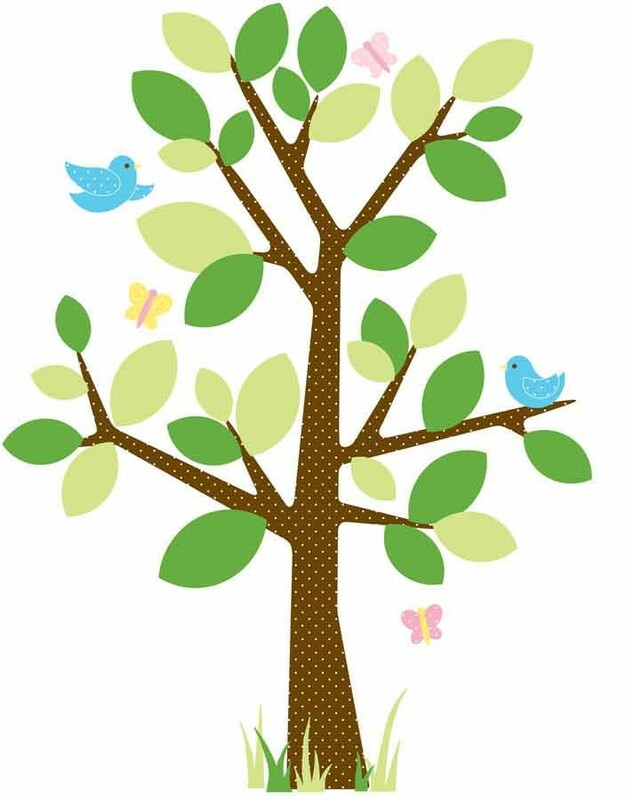 Great for a dining room perhaps, a great way to bring a little life to dull rooms at home, in the office or restraurant. A great effect is achieved with this mural, circles of string loops overlapping with shadows that create the 3d effect. All of a rough light coloured plastered effect. Digital photo murals make a real impact, use them as a feature in any room at home in the office, shop or restraurant. 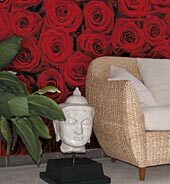 This Roses wallpaper design has bright red roses bunched together to create a great effect. The result when on your wall is a fully believable 3d effect. A powerful statement that live life to any wall. A wash of pink & purple flowers on a white background. The opening in a forest scene is a great place for piece and relaxation. Tis image shows the gentle sunlight kissing the top of the long grasses at the base of the tree. 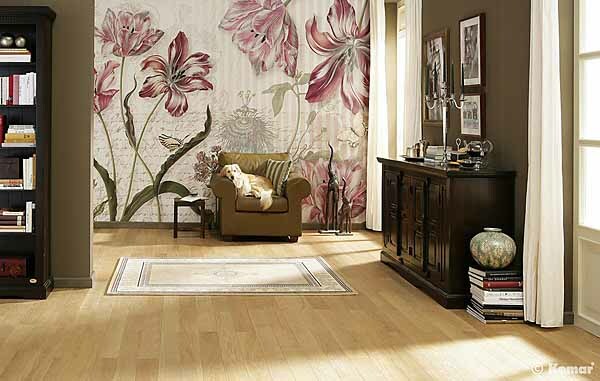 A very highly detailed wallpaper mural for the home. These digital photo murals make a great feature in any room at home in the office, shop or restraurant. 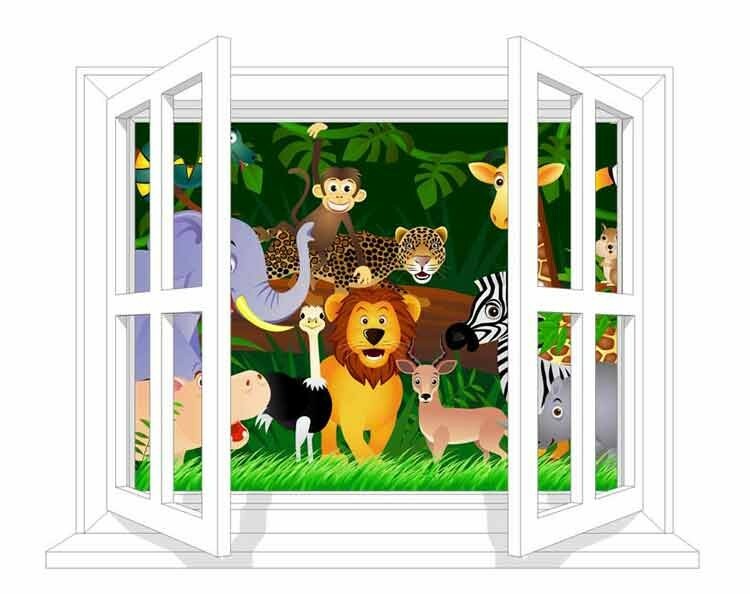 This digital photo mural would make a great feature in any room at home in the office, shop or restraurant. This Komar Photo wallpaper Mural is set in the streets of New York at nightime.New York is home to over 8 million people, New York City is the largest city in the United States and is also known as the The Big Apple and the "city that never sleeps"
Another large wall mural, This one show the turquoise colour of the ocean through the strands of sea grass that blowing in the wind. Go green ! 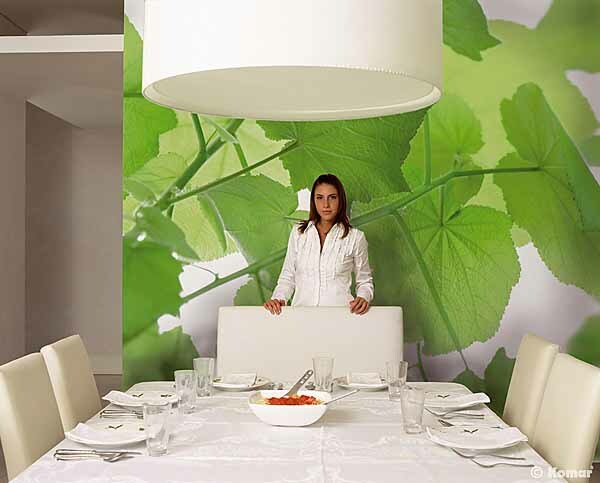 The wallpaper mural has oversized green leaves on a pure white background. The leaves are semi transparent letting the background colour slightly shine through. This creates a series of different shades of green giving the mural interest. A great ocean scene showing the deep blue water with the sunlight sparkling off the surface. 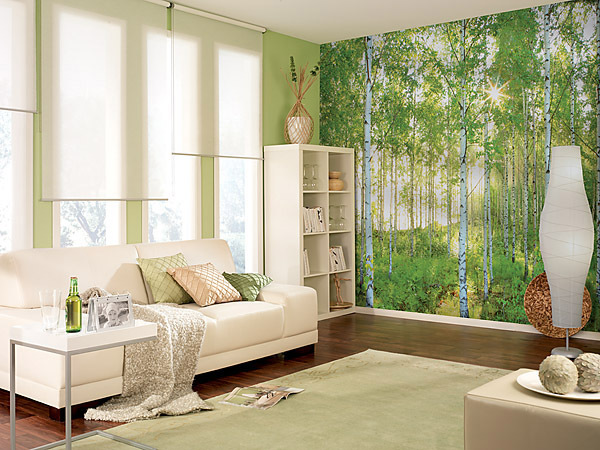 This wallpaper scene is very relaxing and ideal in a number of locations.